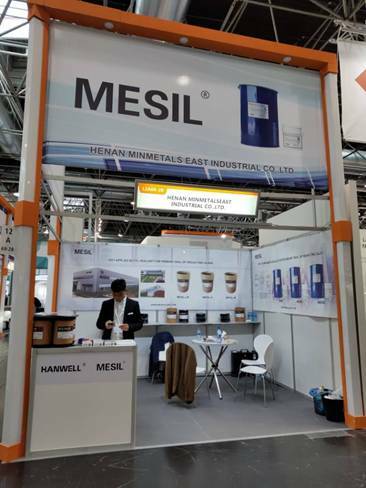 MESIL® Adhesives & Sealants, a brand of Henan Minmetals East Industrial Co., Ltd., is one of the leading manufacturers of adhesives and sealants in China. We are specializing in research, production and sale of silicone sealant, modified siliane sealant, hot melt butyl sealant, polysulfied sealant etc. 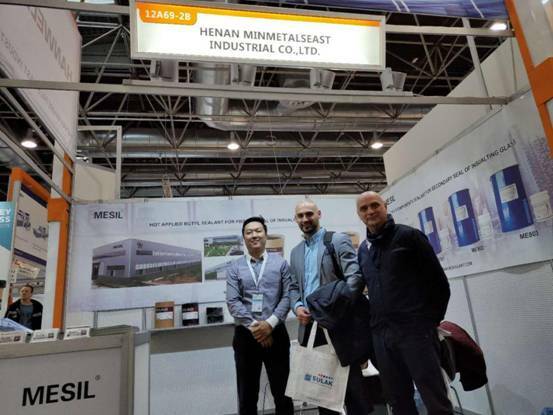 Henan Minmetals East Industrial Co., Ltd attends 25th Glasstec from 23rd to 26th, October, 2018 in Dusseldorf, Germany. 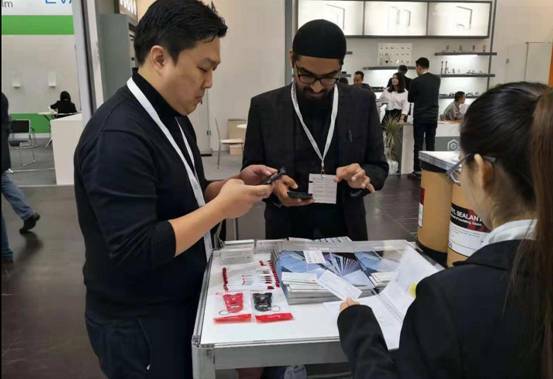 During the exhibition, MESIL® LB/H/W hot applied butyl sealants are sucessful to attract more customers’ attention. In the meantime, other MESIL® series products get good promotion similarly.